Our Brake Linings are developed with immense research and development to deliver excellent wear rates, stable friction across temperature range without compromising on braking performance. Competitors'' product might have similar friction level but comes with much greater Fade and less Recovery. 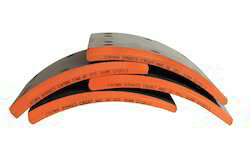 Crown Brake linings are formulated from the best resin matrix reinforced with random dispersion of various inorganic and organic fibers which are bound together in a polymer matrix. Crown Brakes are Leading Exporter, Manufacture and Supplier of Asbsestos Free Brake Linings. We offer these Asbsestos Free Brake Linings to our customers at affordable rates. Packaging Details: 8 pieces per sets carton box packing as per customer demands. 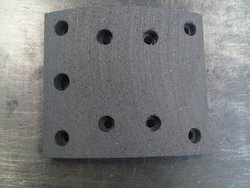 Crown Brakes is leading Manufacturer , Exporter of Brake Linings for Trucks and Trailers. We are manufacturer of Heavy Duty Brake Linings. We provide various varieties and range of Brake Lining as per client requirement. We offer at affordable rates. With thorough understanding of the relevant industry, we are offering a wide range of Truck Brake Lining. This lining is manufactured using best quality raw-material and highly developed technology at vendors' end. In tune with different needs of our esteemed clients, we customize the entire range of lining in different sizes and shapes. Our offered lining has gained exceptional value amongst our clients for its distinct features. Looking for Brake Linings For Commercial Vehicle ?